In my last post, we saw how taking apart an area in different ways can lead to interesting results. Let’s do that again. 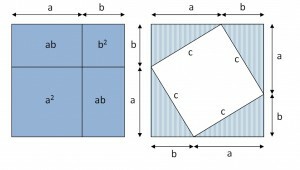 Below, I have broken up the square two different ways. 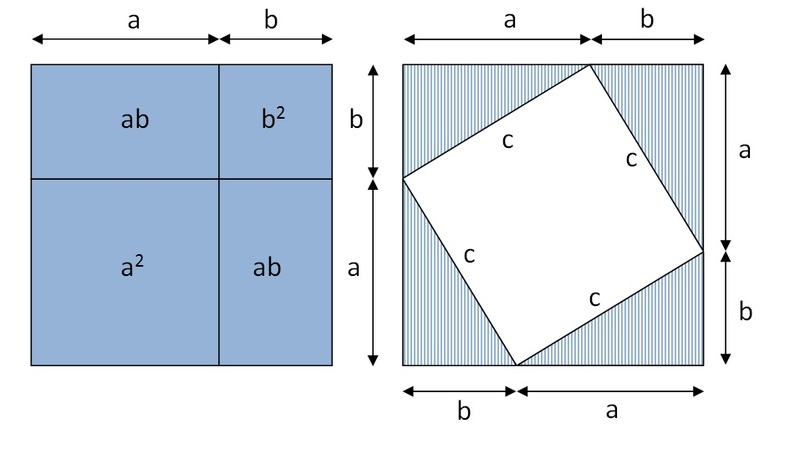 On the left, you see the familiar shapes that we used to derive the formula for the square of a binomial. And on the right, you see a square surrounded by four identical right triangles. And if we subtract 2ab from both sides, we get a pretty well known result. 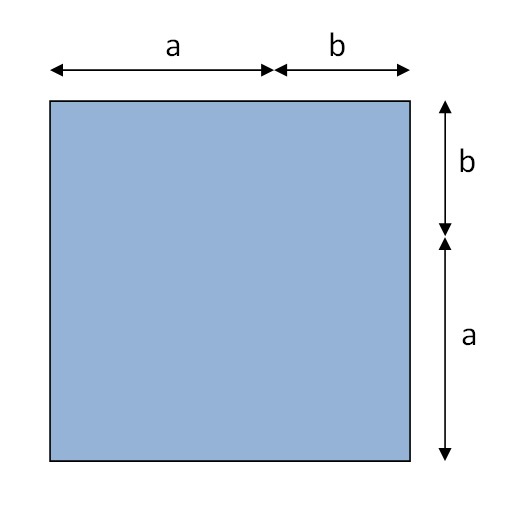 where a and b are the legs and c is the hypotenuse of a right triangle. We use that theorem all the time. Again, better with pictures. 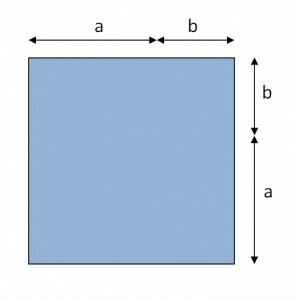 All of these posts have been about using pictures to get an improved understanding of what the algebra is telling us. These are ideas that I have been kicking around for a while so I thought I would share. But they are leading up to something I’ll write about in the next post. And I’ll reveal what got me started down this path again this year.